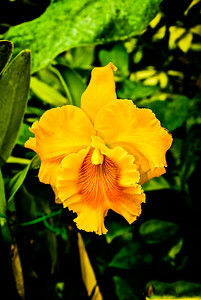 This Gallery is an assortment of many different flowers taken at close-up. They include wildflowers as well as domestic and botanical garden flowers. 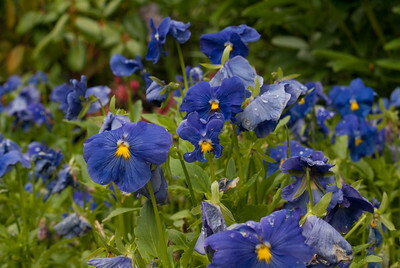 A description will be attached to each flower explaining what it is, its origin and where it was taken. 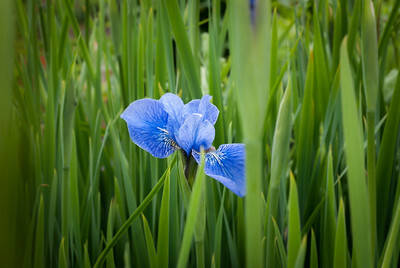 I captured this one single Iris at Butchart Gardens in Victoria,Canada. I took this photo of the Sumatran Giant Lily In Foster Botanical Gardens in Honolulu, HI. 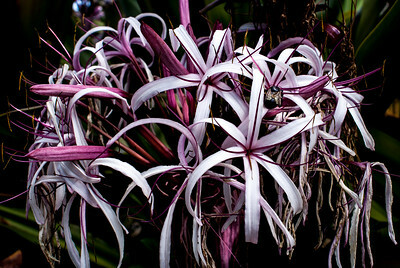 This plant has been cultivated in Hawaii for more than a century. For those with gardens located close to the ocean, the Sumatran Giant Lily has the advantage of being salt tolerant. The plant is native to the Indonesia island of Sumatra, hence the name. 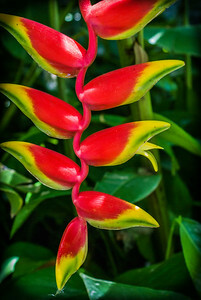 I took this photo of the Hanging Lobster Claw at Foster Botanical Garden in downtown Honolulu. 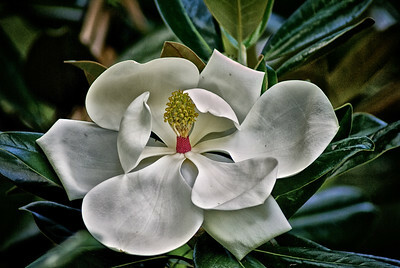 This flower is native to Peru, Bolivia, Columbia and Ecuador. They grow in the upright position, which allows for their cup-shaped flower bracts to store water for birds and insects. 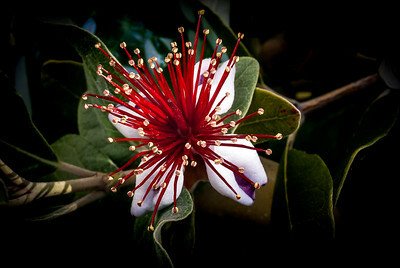 I took this photo of the Cannonball Flower at the Foster Botanical Garden in downtown Honolulu, HI. 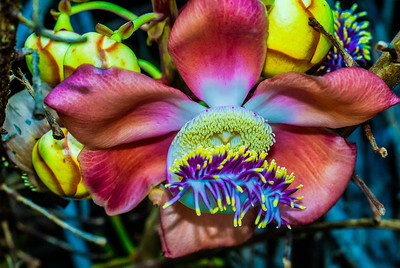 This flower comes from the Cannonball tree that is native to the southern Caribbean, northern parts of South America,and India. 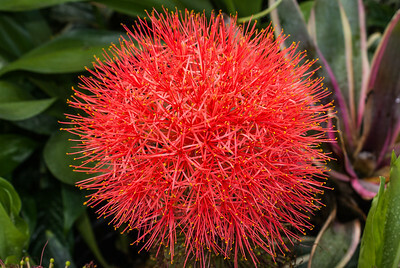 I captured this photo of the Blood Lily flower at the Foster Botanical Garden in downtown Honolulu. I captured this close-up view of a cherry blossom from my Bing Cherry treein in my back yard. 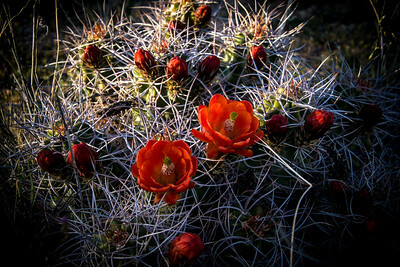 The hedgehog cactus (Echinocereus engelmannii) grows in clumps of 5 – 15 small cacti, each supporting a single flower near the top. The pointed magenta flowers surround yellow stamens and green stigmas. Hedgehog cacti generally grow less than one foot tall, and spines grow up to three inches long. 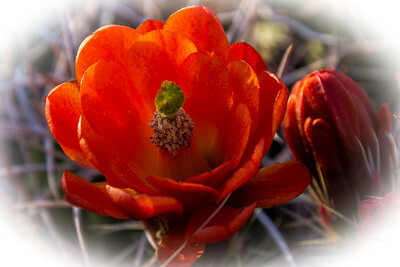 In Joshua Tree they bloom from May to June at elevations less than 2,400 feet. Desert globemallow (Sphaeralcea ambigua) is famous for its orange, globe-shaped flowers — a favorite of wildflower watchers. 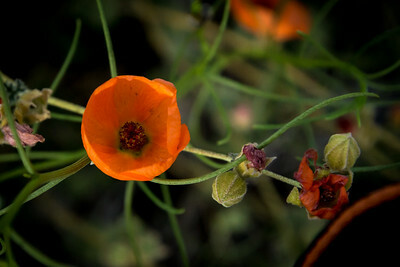 Also known as apricot mallow, desert globemallow is a small shrub that can grow up to three feet tall. It is often found on dry, rocky slopes in Joshua Tree National Park. Its stems and leaves are covered with small, star-shaped hairs. Growing up to 30 feet tall, the spindly branches of the ocotillo (Fouquieria splendens) are one of the classic sights of the desert Southwest. Although the long, thorny branches appear dead and grey for most of the year, they flourish with bright green leaves after it rains. In the spring brilliant red flowers appear on the tips of its branches in the spring, giving the serpentine plant a fiery touch. 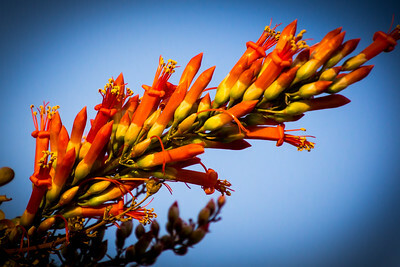 I took this close-up photo of flowers in bloom on a naked coral tree in the Chula Vista Marina Park. 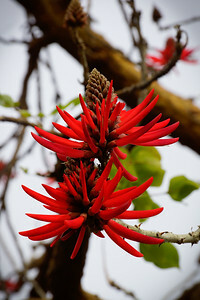 The coral tree is a species of flowering tree in the pea family, that is native to eastern Mexico.